Jesus scandalised the Pharisees by eating with tax collectors and sinners. He spoke against those who trusted in themselves that they were righteous, and said, “I have not come to call the righteous, but sinners to repentance.” Jesus scandalised them when He suggested that the mercy He showed to sinners was that of God’s own attitude to sinners; by sharing the table of sinners he was admitting them to the messianic banquet. Perhaps even more did He scandalise them by forgiving sins. 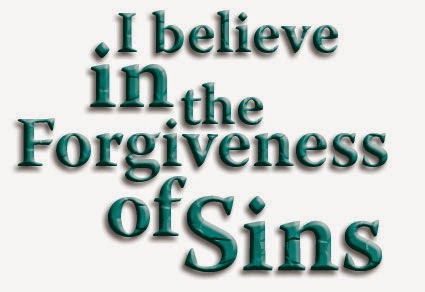 Only God can forgive sins, so either Jesus was blaspheming or He was speaking the truth. Only if Jesus is truly divine can He justify such claims that would otherwise be scandal and blasphemy. So all who listen to the Gospel must decide, is Jesus insane/wicked or is He divine – there is no other option if we take the evidence seriously. Jesus’ divine identity was gradually revealed in what He said. When He said, “He who is not with me is against me”, this could only be taken seriously if Jesus was divine. Similarly when He said, “something greater than Jonah… greater than Solomon”, and something “greater than the Temple” was in Him. His reminder that David called his Messiah his Lord, was also revealing the Messiah as being divine. But then we come to the gospel of today (Jn 8:51-59) and Jesus then makes it quite plain: “Amen. Amen. I say unto you, before Abraham was, I AM.” “I AM” was the divine name revealed by God to Moses at the burning bush. Thus the Sanhedrin had to make a stark choice: was this man the Messiah God, or was Jesus a blasphemer deserving death? They made their choice and Jesus became the victim. We too must make this choice. We make this choice when we accept the Christian faith as our faith. But we must also make this choice in the moral decisions of daily life. When we choose to sin, we choose to go against the way of Christ, and we thus make Him out to be a liar. Sin is an anti-Christ action, and in that sin we are identifying with the Sanhedrin who condemned Jesus. When we resist temptation, we affirm that Jesus is God the Saviour.